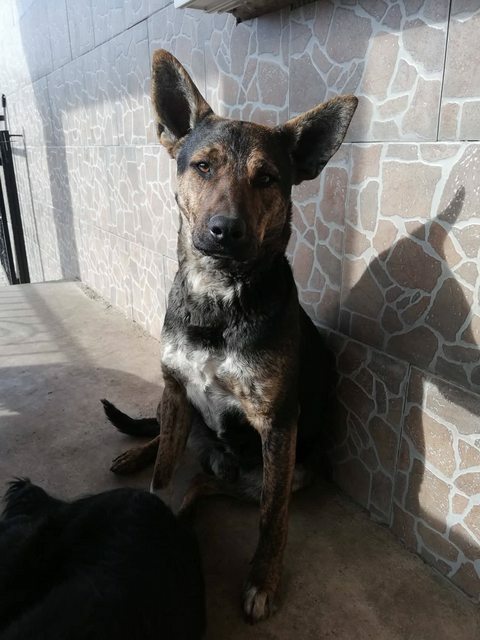 Zsebi is a 10 month old male Cross-Breed. Zsebi is a 10 month old medium size mix breed boy who was found wandering the streets of rural Hungary 8 months ago when he was only about 2 months of age. He has been fostered by the family who found them ever since. 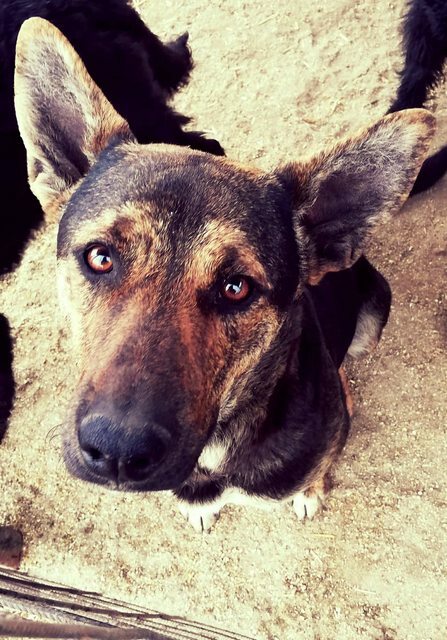 Zsebi is an active boy, who loves people and is cooperating really well with his humans. 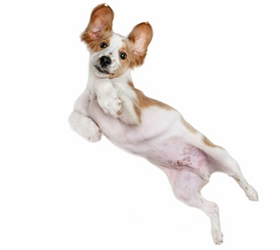 He is a well balanced dog who is happy to take the initiative when it comes to play. He listens to what he’s told and he is a quick learner too. He is a real sweetheart with his beautiful eyes talking to you without words! He is friendly and sociable with dogs in general. 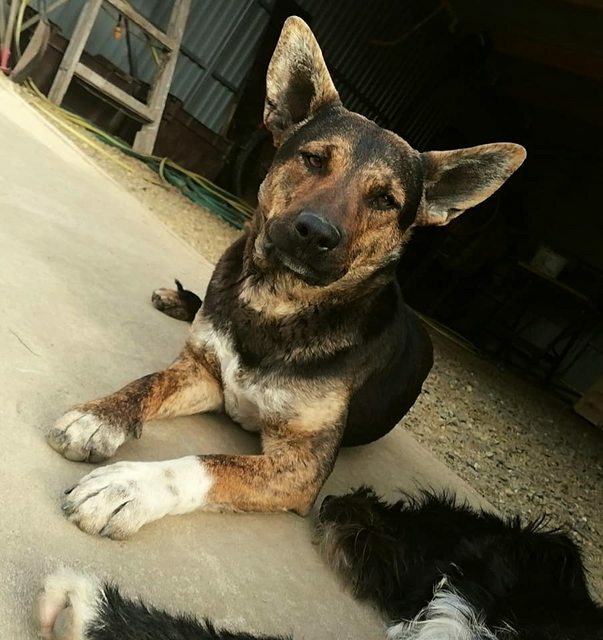 He is playful and likes having fun with his doggie mates who he currently lives with. He walks nicely on the lead and has a good recall when off lead. He also travels nicely in the car. He is being kept in an outside kennel but often spends time in the house where he is house clean and not destructive at all. He is very alert but does not bark excessively or without reason. Zsebi would be best suited with a family without or with older children where he is not left alone for long periods and can spend precious time with his family. He is still very young so his training and socialisation will need to be continued. He is an active boy so his family will need to fullfil his exercise needs with regular walks and doggie activities. He could easily live with a friendly dog to keep him company, but he would be equally happy living with his humans to care for him only. 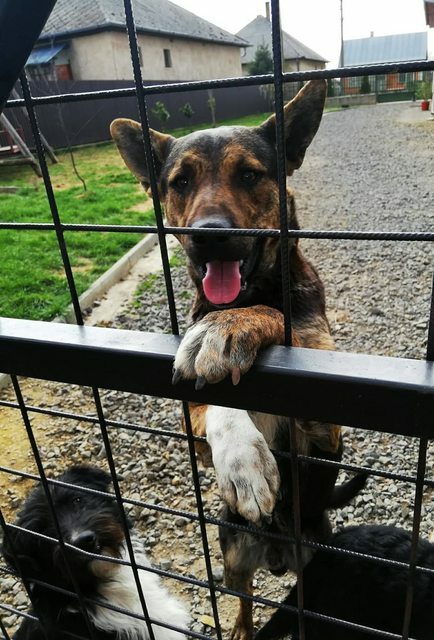 Zsebi is currently in Hungary and can travel to the UK as soon as the right family is found for him. He comes fully vaccinated, neutered, microchipped and dewormed with an EU passport and DEFRA approved paperwork.